I wish I had the talent to sew!!!! I sit & watch Project Runway every season & am in AWE of the things they can do with a machine that spins out a little tiny thread & some material... I wanna be able to do that! I wanna be FIERCE like Christian!!! And who didnt love Santino? Laura was always a favorite of mine! And season one - Jay???? He was the BEST! There's a new show starting tonight on Bravo too about designing & sewing... already got the DVR ready for it!!!! 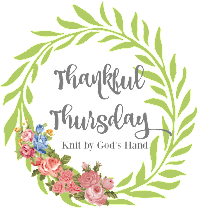 I see some of the projects that people make on their blogs too & my jaw drops with envy every time I see amazing curtains or dresses for little girls or even table runners... anything that is created out of a plain square of material - know that each time you post something like that, I'm totally jealous! Yeah, give me yarn & needles & I can make some sweaters, scarves, hats, socks, purses - ANYTHING almost... but a skirt made out of cotton would be pretty dang heavy! I really do need to invest in a real sewing machine & learn!!! And I say "real" because I do have a sewing machine... the smallest sewing machine known to man... A Shark!!! I had to get it cause it was just too cute! It even has an adorable little foot petal that I'll just pull out & say, "AAHHH - isnt that cute"... but I cant even use that thing! I think I actually broke it trying to sew up the sides of pants of Ricky's Halloween outfit... I ended up hand stitching it! Any suggestions on learning how to sew? I WANT THIS TALENT!!!!! What's your talent that you wish you had? oh, Joe! You have loads of talent -- and you'll be the king when that little girl comes into the world! And Rebecca - you can always call my mom for sewing tips! I wish I had the talent to SING! I'd be dangerous if I could carry a tune, but alas, it will never happen. You, on the otherhand, should take a sewing class. I think they give sewing classes at Hobby Lobby or any fabric store! You should check into it! I'm so with you on that! I wish I could draw like my friend Leigh Ann or like our bloggy buddy Caroline. I sew a little. It's kind of like work to me, so I don't do it a lot. My mama taught me. She is a GREAT semstress. She made both of my sister's wedding dressings ~~ amazing!! I'm with ya on the sewing thing but I also wish I could sing. I LOVE music and LOVE playing the piano but can't carry a tune if my life depended on it! I love project runway too! I wish I knew how to sew, too! My mom was a talented seamstress, but I never learned the skill from her...unfortunately! Me, too! I'm 5'9 AND I want to sew. It's kind of one of those things where I say, "oh, when the kids get in school" or "maybe this summer when I'm off"
I am so excited and CAN'T wait for it. I'm actually going to bust out my sewing machine. LOL nothing grand just comforters for the boys bed room :). I can sew but mostly use my machine for scrapbooking!! I actually sew on paper. Well, you know that because one of the pages in the album that I made you, I sewed! I will have to think about what talent I wish I had. I know there is one but can't think of it because its bath time. Aiden's, not mine!! Lots of love. When you learn let m,e in on the secret. I would LOVE to be able to make pretty things for the girls to wear. I remember my mom sewing for me and so wish I could give that gift to my girls. My mom actually made all of the dresses for my wedding (except mine - 'cause she was afraid to mess it up - and they were BEAUTIFUL! I wish I could do that! I learned by just going at it. But then I did end up taking a class through a local fabric shoppe mostly for help with specific issues I was having like shoulders & bust. I do too, I do too!!! I was given a sewing machine 6 years ago and still don't know how to sew anything besides a straight line, it's so sad. I see so many patterns that I would love to make, home accessories, clothes, you name it! Wish you lived closer, we could take a class together! I want to watch that show tonight too! YAY! Run...as fast as you can. Grab hold of your knitting needles as you go (as Linus carries his security blanket around) and head to your nearest seamstress. Let her stress over customizing your skirt length. Needless to say, sewing machines and AuburnChick do not get along, although I do like the way my sewing machine cabinet enhances my decor. I never wanted to know how to sew but the past few years I feel the desire creeping in. 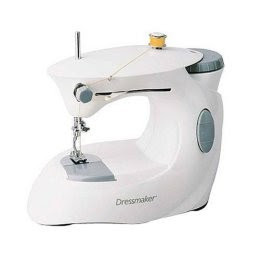 I almost even asked for a sewing machine as a gift but then decided "what in the world would I DO with it?!" I wish I could sing. My mom and dad sing and people think because they can sing that I must be able to. Nope, didn't inherit that gene. Sorry to disappoint.